Like to hunt or go camping? 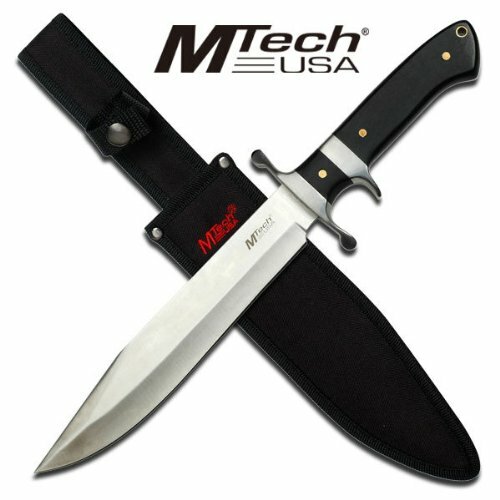 Then this 15" inch hunting knife is perfect for your next trip outdoors. It features a full tang sub hilt finger grip with a 440 stainless steel 9.25" inch blade. The handle is made of black hardwood and comes with a nylon sheath. Don't be caught out in the wilderness without one.